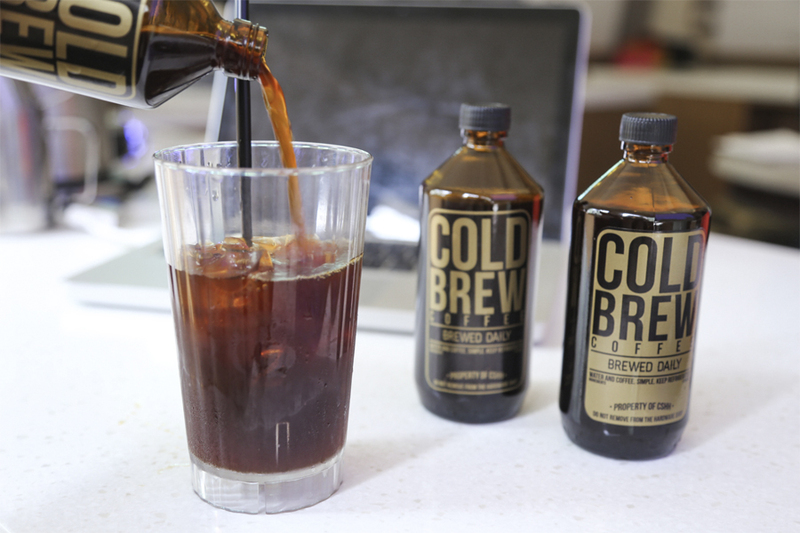 Cold Brews is the process of steeping coffee grounds in water at cool temperatures for an extended period. 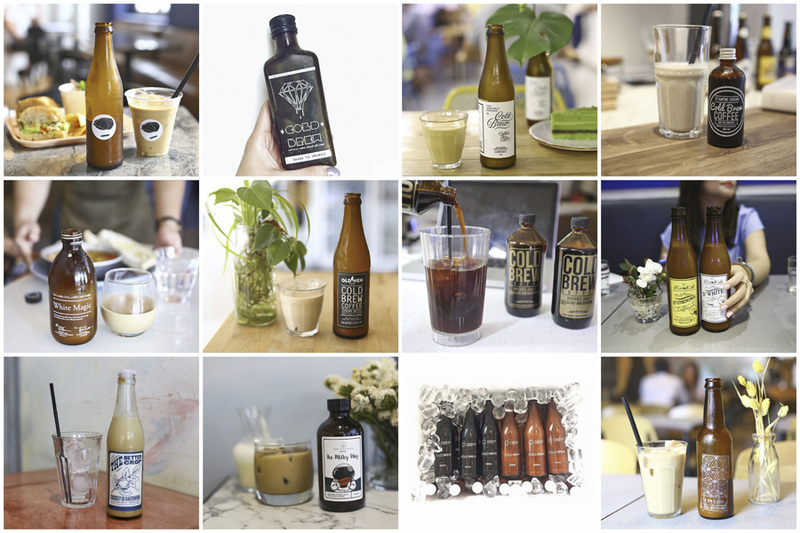 The difference between Cold Brew and Iced Coffee is, other than fact that one is “in trend” and “hipster”, is that coffee beans used in Iced Coffee is first heated than cooled down, whereas beans used for Cold Brew is never heated. As the grounds are not subject to intense heating, this results in lower acidity levels, and general lower caffeine content (in equal volumes). Black Cold Brew ($6) which is unsweetened without milk, and White Cold Brew ($6.50) lightly sweetened with milk. The café rotate the beans their use for coffees, primarily using beans from Nylon Coffee Roasters, Heart Roasters, Oriole Coffee Roasters, and Sister Bruce Coffee Roasters. Other than the cold brew coffees, I also enjoyed the non-coffee bottled ones, especially the Cold Matcha Milk ($7) made using matcha powder directly imported and air-flown from Ippodo Tea Co. in Kyoto. (Not the ramen shop). 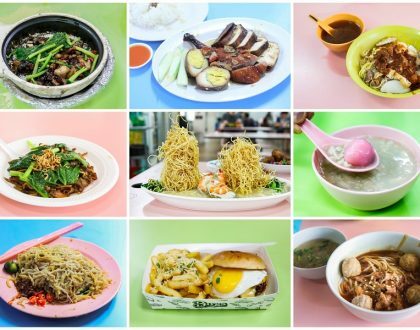 Chye Seng Huat Hardware (CSHH) along Tyrwhitt Road in the Jalan Besar district of Singapore, has been one of the most popular places for third-wave coffee drinkers. Of course, it is home to the Papa Palheta brand too. 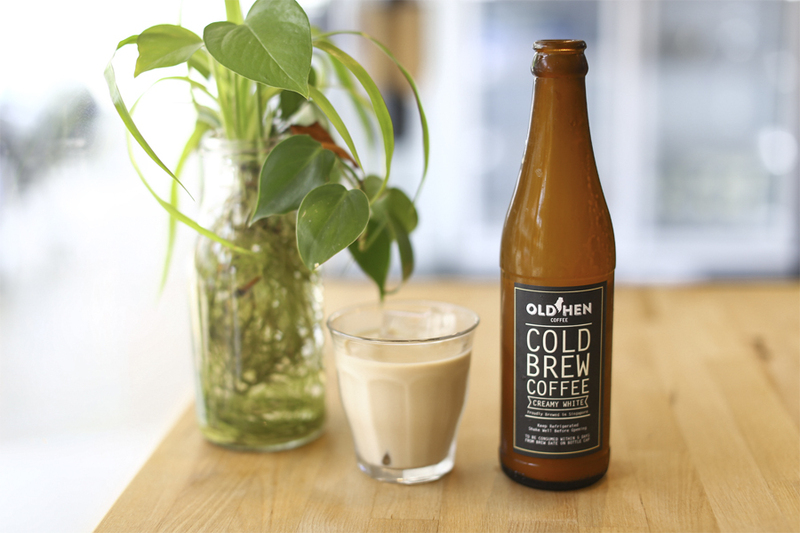 The Cold Brew is made using Ethiopia Suke Quto coffee beans, designed to be slightly stronger as it would be slightly diluted when served over ice. 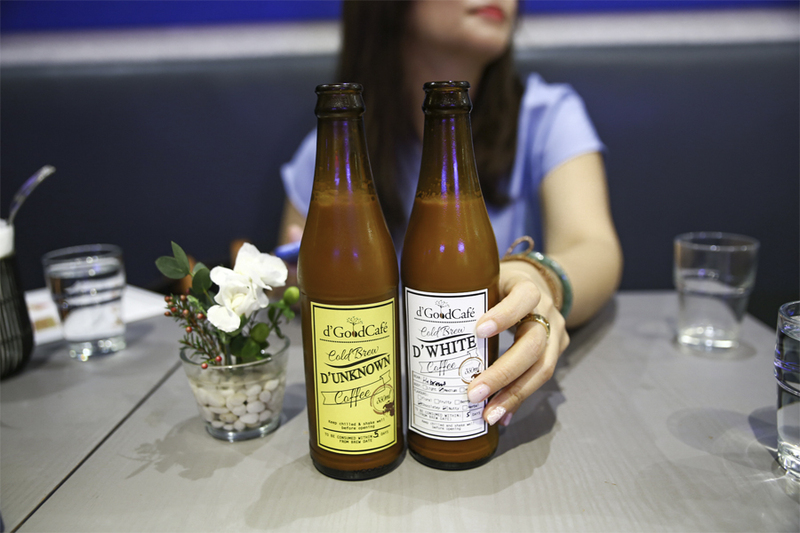 The White Cold Brew uses the Throwback blend instead, comprising of Brazil Samambaia and Indian Thippanahali, and is dark chocolatey, creamy-bodied and slightly sweetened. The Milky Way ($7) which is offered at Atlas Coffeehouse and Lunar Coffee Brewers (opened by the same team) is one of my favourites. 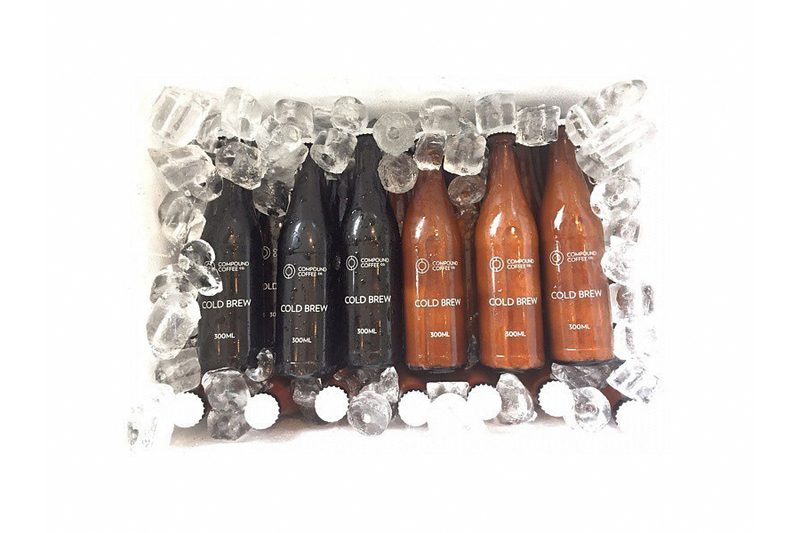 The white Cold Brew Coffee uses beans custom-roasted by 2 Degrees North Coffee Co. It uses a house-blend of Brazilian and Guatemalan coffees, with complimenting flavours of chocolates, nuts and caramel. Smooth, creamy, quite strong, and lightly sweetened. 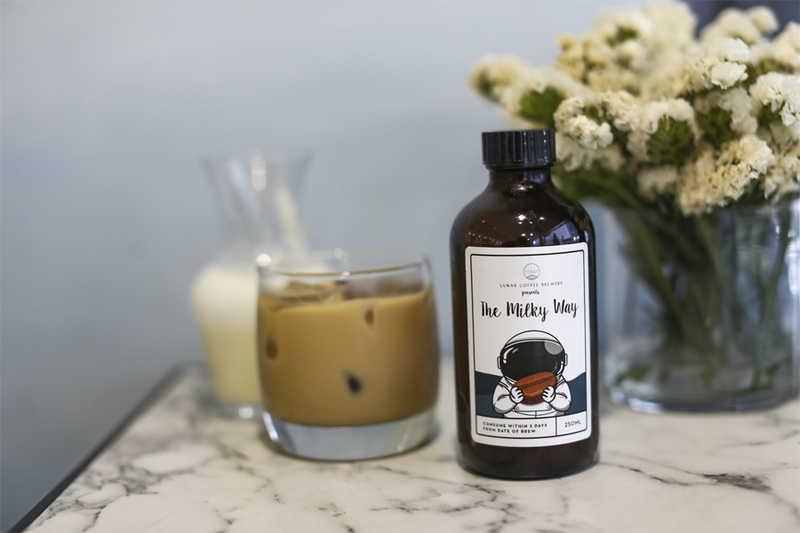 The Cosmos ($7) is the black Cold Brew Coffee, and uses single origin coffees either from Colombia, Ethiopia or Kenya where a fruit-forward cuppa is commonly sought after. 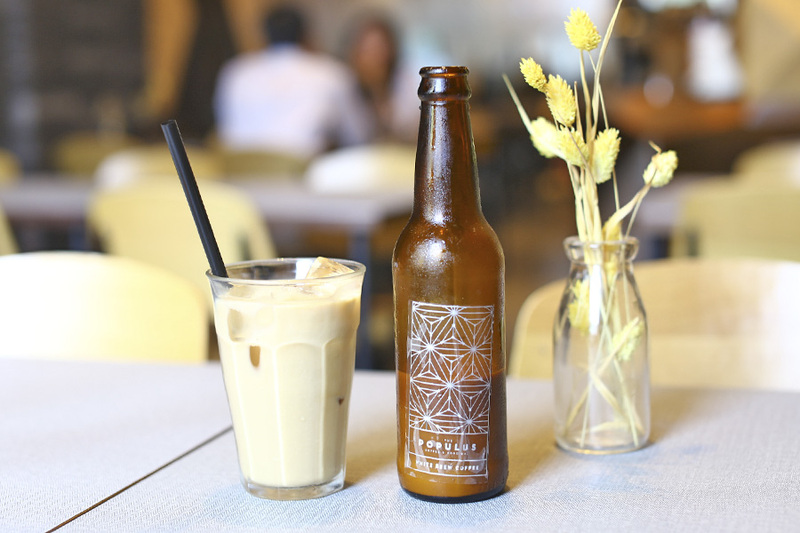 The Populus’s White Cold Brew ($7.50) is designed to showcase their seasonal speciality coffee blends. Mildly sweetened, with silky texture, and is quite robust yet refreshing. Probably will have broad appeal. 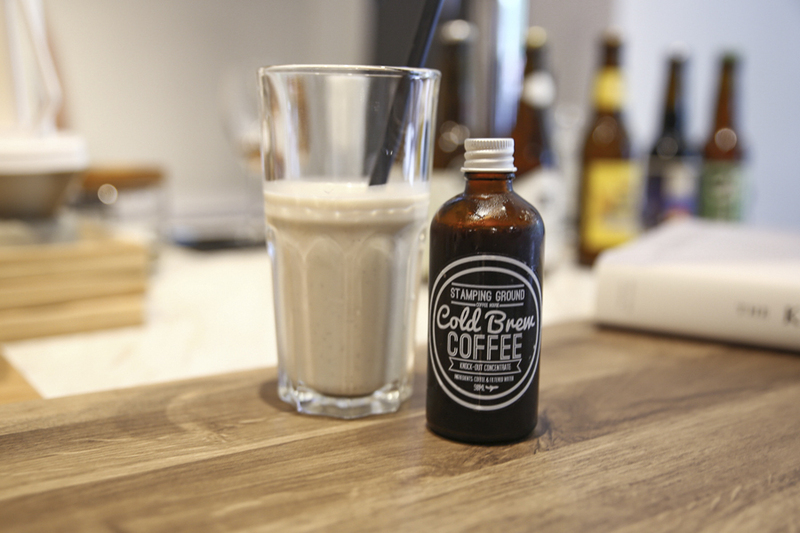 Stamping Ground Coffee’s Cold Brew is slightly different from the rest, offered in a “Knock Out Concentrate” small bottle ($6 for 100ml, made using Papa Palheta’s Throwback Blend. You can drink it straight up from the bottle for an immediate boost, or enjoy it with your choice of medium of whole milk, skinny milk, soy milk, fresh coconut water or almond Milk. The 100ml cold brew coffee concentrate bottle is supposed to be travel friendly as it can be hand-carried on the plane. d’Good Café offers a variety from D’Black ($7.00), D’White ($7.50), D’Infused ($8.00) which is cold drip coffee with a touch of floral lavender and earl grey tea finish. Coffee and tea rolled into one. 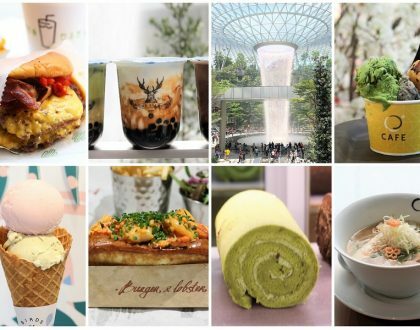 What I want to highlight is the D’Unknown ($7.50) where you get dutch ice drip with coffee, Hokkaido milk with a SECRET flavour. Seasonally changed, and you can put the taste buds to the test. The last I had was a Rose, which was pleasantly floral and refreshing. Dapper Coffee’s Cold Fashioned ($6) uses single origin Ethiopian Yirgacheffe, and is a rapid infused cold brew coffee by using a vacuum machine. Jelly powder will be added to the cold brew, then set in the chiller overnight. The Dapper Cold Fashioned is also garnished with a slice of dehydrated orange. 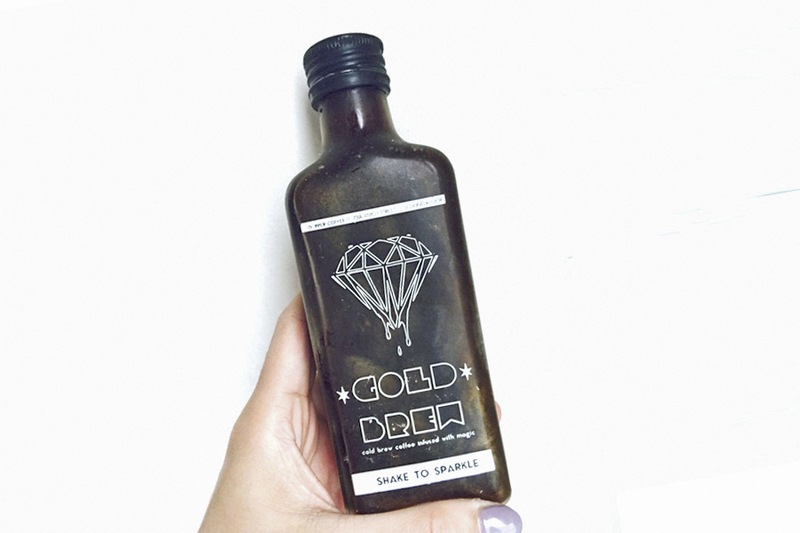 If you would like something more gimmicky, there is also a Gold Brew ($10) made using a blend of Brazil and Sumatra beans, slightly sweetened and infused with edible sparkles. Boutique coffee roaster Compound Coffee Co.’s Cold Brew ($7.00) uses quality coffee bean from Etophia. Beans are roasted locally, and cold brewed using a slow drip tower. The tower involves a filtration process with iced filtered water for over 12 hours, to procure the end result – a complex, smooth and tasty brew with smoother tea-like textures, and more floral and fruity flavours. 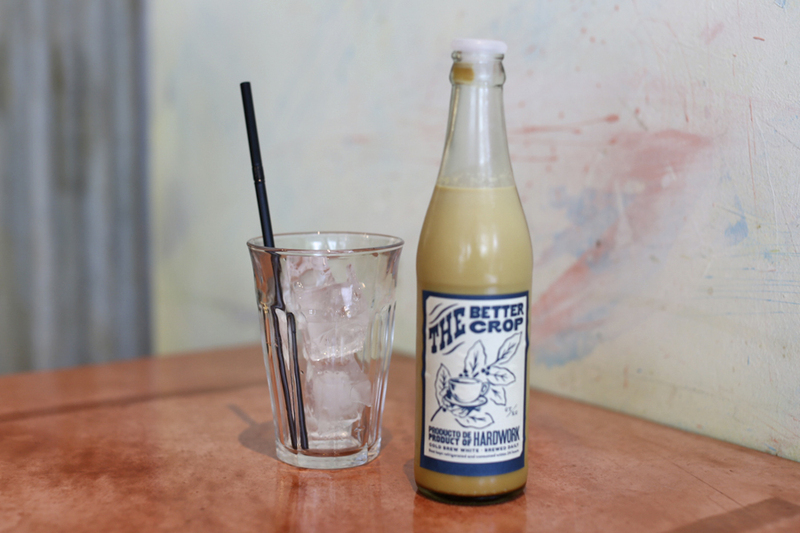 Strangers’ Reunion’s signature bottle Cold Brew is the White Magic ($7.00), made with fresh espresso shots, milk and a touch of cream. 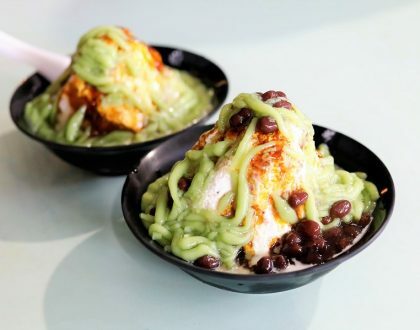 The café has also newly launched 2 flavours – Matcha and Sea Salt Chocolate (both $7.00). While Grain Traders may be known for its protein rice bowls, the White Cold Brew is also not to be missed. Using a blend from Papa Palheta, the brew is made with beans from the Thippanahalli Estate in India, and the Brazilian Ponto Alegre region, resulting in a chocolaty, nutty and milky drink. 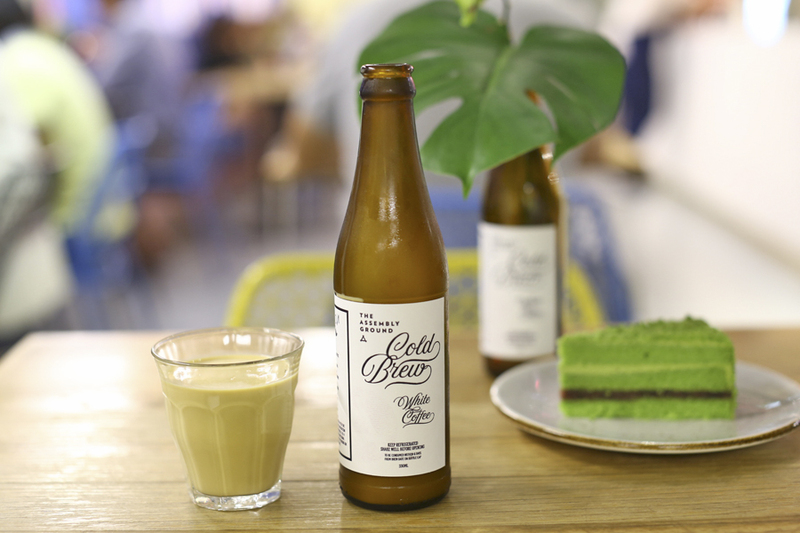 Founded by the people behind Benjamin Barker, The Assembly Ground offers White, Black and Matcha Cold Brew. 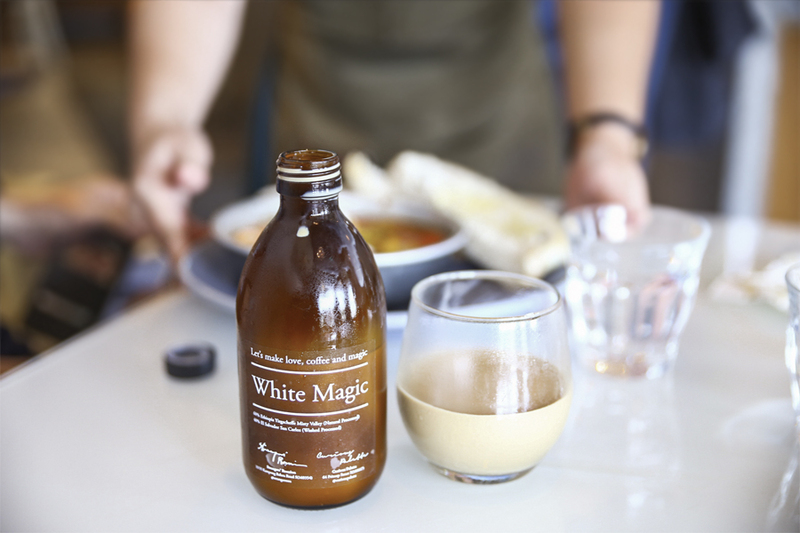 The White Cold Brew ($8) is brewed using Nylon Coffee Roasters single origin blend, with the café’s own touch for a depth of sweetness. As for the Black Cold Brew ($7), it is also refreshing and aromatic, with hints of black grapes and chocolate. 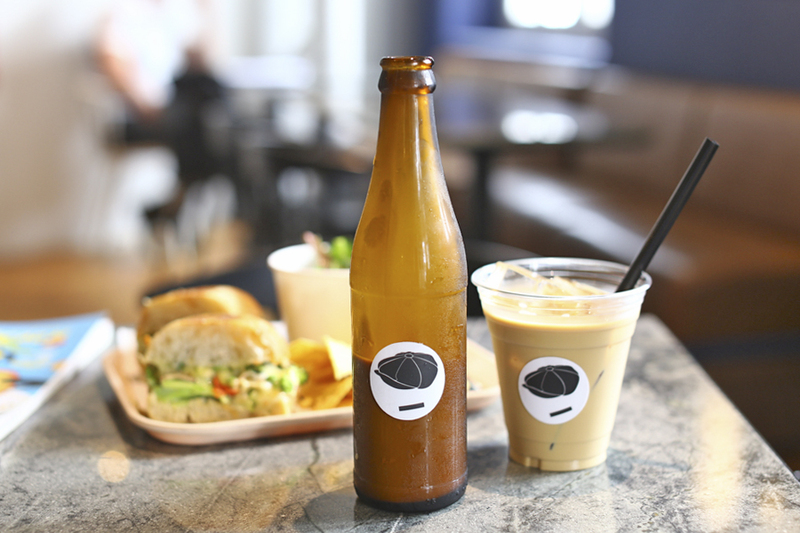 Some may not know that sandwich makers Park Bench Deli also offers quite decent Cold Brew – the White ($8) and Black ($7) under the Working Coffee Class label. Smooth and rather strong, should be suitable for CBD peeps.